Think we may be obsessed with luck? Luck? There is no such thing. God rules over all things. He is through all and in all. That doesn’t leave any room for chance or fortune. We are not floating through space without direction and purpose. God ordains every single microscopic event that happens. Life is not a gamble. Nothing is a fluke. Events in your life are not superfluous or arbitrary. Every decision is ordered from the LORD. Divine power trumps luck. 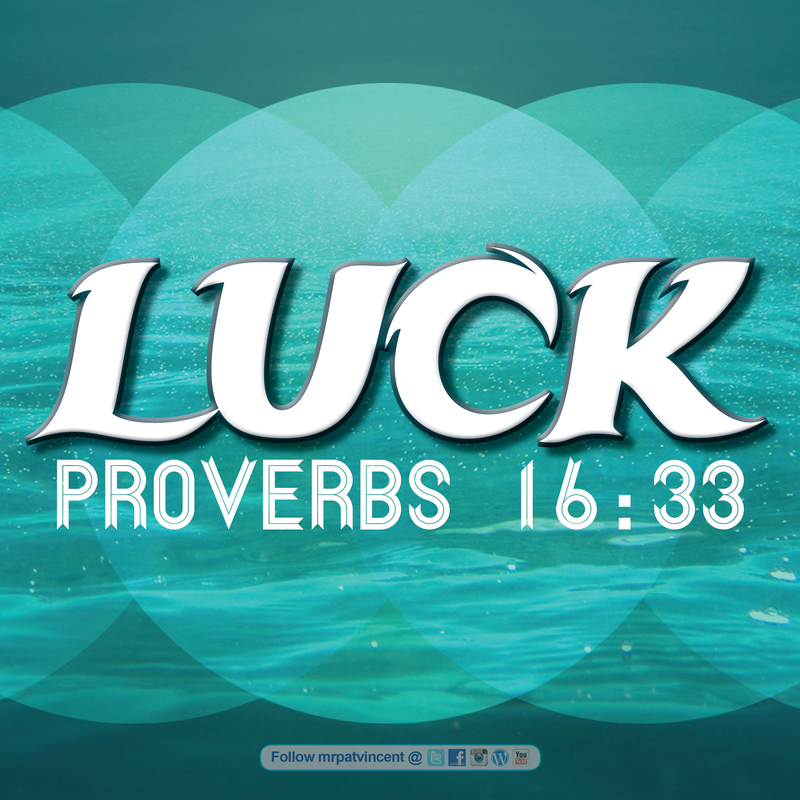 Saying something is “luck” or “lucky” may just be a habit. Start a new habit! Instead of saying “You are so lucky,” say, “You are so blessed!” That’s way more accurate anyways. This entry was posted in Christian and tagged Bible, blessed, Blesses, Blessings, Chance, Christ, Christian, Christianity, church, Faith, God, God Reigns, Gospel, Heart of David, Holy Spirit, Hope, Jesus, Jesus Christ, Lord, Love, Luck, Ministry, Not a Fan, Old Testament, prayer, Preach, Psalms, Religion, Religion & Spirituality, Salvation, Scripture, spiritualwarfare, Worship. Bookmark the permalink.